If you have any questions or want to enquire about dates, use our form to contact Charles Engelen or see their website for more information. Find peace here on the edge of a village in the Livradois-Forez regional park. The house is up at 600m, with woods, pond and pool inside its high-walled grounds. Dutch owners Charles and Tarcies speak excellent English and love sharing their home with guests, advising on walks, bike rides, car tours and local sites. Breakfast is served individually, while home-cooked dinners are sociable affairs around a large table. Living room and corridors have modern paintings and quirky touches; bedrooms on three floors have lovely views, good mattresses, simple shower rooms (one also has an elegant bath) and calming colours. Dinner, 4 courses, €26. Child €10. 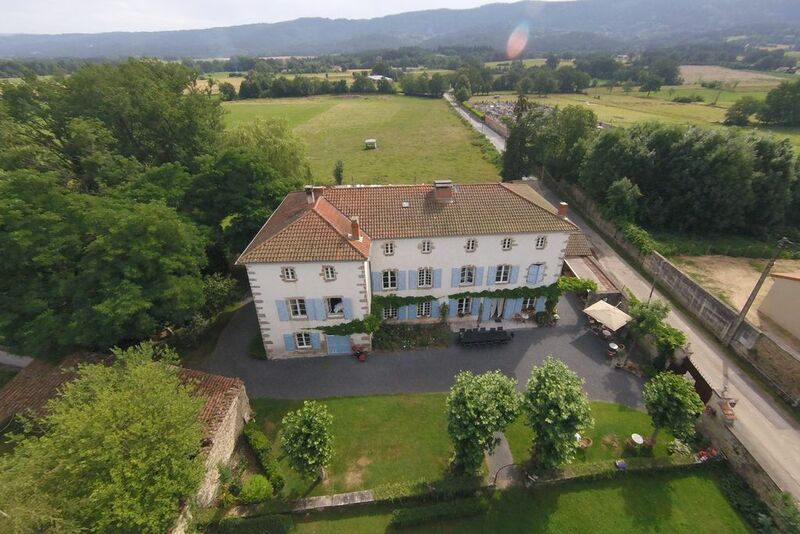 A lovely place to stay with charming hosts in a very beautiful and unspoilt part of France. Generous breakfasts each morning and delicious meals eaten with the other guests plus Charles and Tarcies. We stayed with Charles and Tercies for 2 nights in late July. Their house is in a quiet idyllic spot and they are excellent hosts who have thought of everything to make your stay just perfect. The house is lovely, the pool gorgeous and the gardens quiet and restful. Dinner on the first evening was a sociable affair, 9 guests and the hosts round a huge outdoor table on a warm evening. On the second during a storm night a lovely quiet dinner with just my husband and I eating with the owners, excellent food and wine on both occasions. We arrived tired left refreshed, and hope to go back soon!